A radical change of pace this week. With the stock cars taken as far as I can before Amherst, it's time to to work on other projects. This time it's something rather different for my good friend, Trevor Marshall. He presented me with 2 CNR S scale combine kits from MLW Services. These are predominately brass kits, with wooden roof and a little bit of resin. Being that they are brass, some different techniques and tools are required than what I'm used to. I could have chosen to glue the parts together, but I've found that CA doesn't bond well to brass in this kind of application and Pliobond or Goo wouldn't work out well as I intend to bake the paint onto the brass. Don't need a brass kit in the oven. So soldering is really the only choice. I recently purchased a resistance soldering unit from P-B-L. I was delighted with the service and courtesy I received from the fine folks at P-B-L. And they were quite prepared to spend as much time as required with me to answer any and all of my questions. Resistance soldering is quite unlike conventional soldering. The option for instant heat can greatly simplify brass assembly. But I have discovered that for certain tasks conventional soldering irons still can't be beat. The sides of this kit is a laminate of 3 pieces. A thicker core and then an overlay with rivets and trim and finally a thin trim overlay with tons of rivets. Soldering the first 2 layers with conventional irons would result with a lot of heat distortion, but the use of a resistance unit allows for lots of control. To properly join the 2 sheets they both require to be tinned, which basically means spreading a very thin layer of solder over the brass sheet. This is where the conventional iron excels. So the basic process is clean, apply flux, tin, clamp, reheat. What you see in the second picture is the 3 soldering tools I've been using to join this kit together. I'm actually enjoying the project. More to come as the project nears completion. For the last couple of days I've been assembling 3 preproduction samples of, what is for me, a very exciting resin kit. 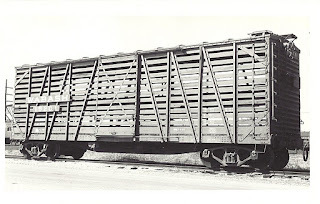 A Wabash 15000 series stock car. 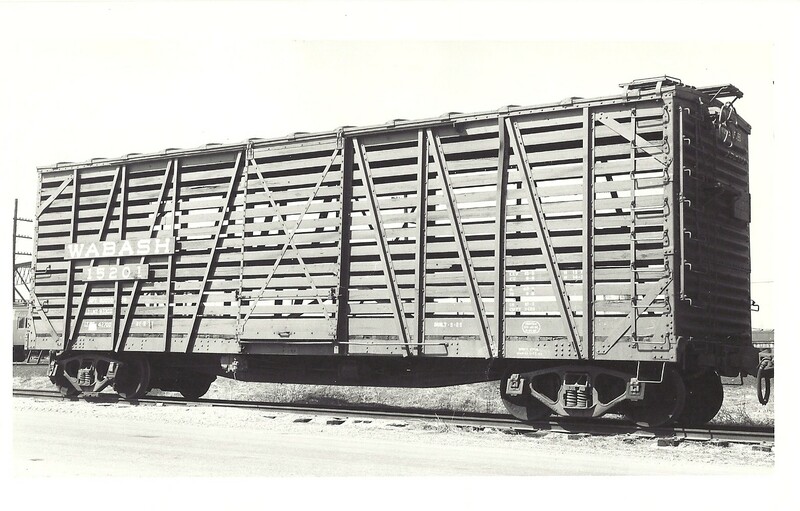 400 of these cars were created when the Wabash rebuilt some of their 40000 series single sheathed autocars. Aaron Gjermundson of Northern Specific Models created the patterns for these cars and they are exquisite. The Z bracing features correct undercuts, rivet detail is all there and the ladder stiles are perfect. There are still a couple of minor details to flesh out before these cars are in production, but availability in the summer is expected. You can view these prepoduction samples at the Amherst Railway Society Railroad Hobby Show, January 28 & 29, 2012. I will be there with these cars and many examples of the work I do. Look for me in the Mallary Building, Section 155, table C.
I'll be happy to chat. In the spirit of the holidays I felt that some backdrop work was in order. The problem of mounting backdrop for the lower level was easily solved by the addition of 1/2" plywood strapping glued to the walls with No More Nails. Amazing stuff! It's rare, in my experience, to encounter a product that actually works better than advertised. While it won't supplant screws and nails for certain situations, No More Nails certainly solves many problems. As the photos show once the adhesive had set, next day, I simply screwed 1/8" Masonite to the strapping. Today I will be filling the screw holes and taping the joints as if it were drywall. Then out comes the sky blue paint. It's beginning to look like a model railroad.